On May 27, a 34-year-old black male named Derrick Todd Lee was arrested in Atlanta for the serial murders of five women in Baton Rouge, LA, between September, 2001 and last March. Mr. Lee will be tried for the murders in due course, but how he was captured tells us something important about the realities of race and how much the liberal pseudo-science that denies that reality can cost us. Predictably, most of the national media have ignored the story. 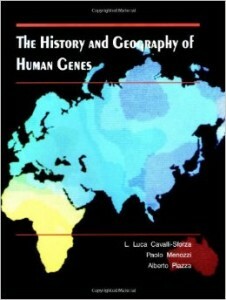 A recent Public Broadcasting Service series tried to claim that race is merely a “human invention,” a social construct, and therefore that you cannot detect race from genetic evidence such as DNA. 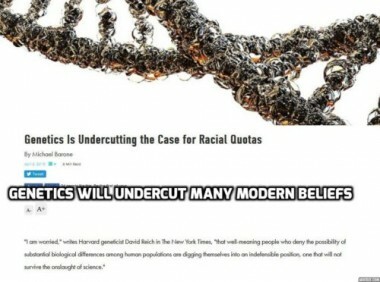 As I argued in a recent column, the liberal-to-left-wing pseudo-scientists who make such claims are lying, for the purpose of bolstering the anti-white policies they favor and to salvage the notion that differences between the races are really the result of the “social environment” (especially “white racism.“). If race is merely a “social construct,” then indeed you could not identify a person’s race by examining his DNA, any more than you could tell what language he speaks, what his religion is, or which baseball team he likes. All those preferences really are “social constructs” that do not exist in nature. But race is real, which is how they caught Derrick Todd Lee. Authorities identified his race from a DNA sample connected to one of the victims, and that led them to suspect Mr. Lee as the killer. They already had a sample of his own DNA that he had given voluntarily during the investigation of another murder in the area. But not until February of this year did the local law enforcement task force investigating the four known murders in Baton Rouge give the killer’s DNA to DNAPrint Genomics, a company in Florida that specializes in using genetic evidence to identify criminal suspects. By March 21, the truth had sunk in to the task force. It called a news conference to announce that the public should not assume the killer was white after all. It may not be important for the outcome of the investigation, which soon culminated in Mr. Lee’s identification, but it’s pretty clear why. Any public employee saying a scientific test shows the reality of race would lose his job and career, regardless of how many murderers he caught. Yet it’s still not entirely clear exactly when the task force obtained a DNA sample from the unknown killer and, if they had one earlier than last February (by which time four of the five known victims had died), why they didn’t approach Mr. Frudakis’ firm before then? It may be they were still relying on the FBI profile and various witness accounts of white males seen near the sites of the murders. It may also be they insisted on walking down those blind alleys because they either were afraid to look at the genetic reality of race or had themselves come to believe in the pseudo-science that denies race exists. He gave the task force his company’s findings “within a week,” and by the end of May, the suspect was in custody. That’s great, but if the task force had consulted his firm earlier, several lives might have been saved. Had the task force relied on the ace scientists interviewed in the PBS series, the killer would still be at large and the cops would still be scraping the cheeks of white men. That’s why racial pseudo-science contributes to murder. It’s also why the frauds who make up the pseudo-science, poison the public mind with it, and now dominate universities and the media ought to be booted out of both.